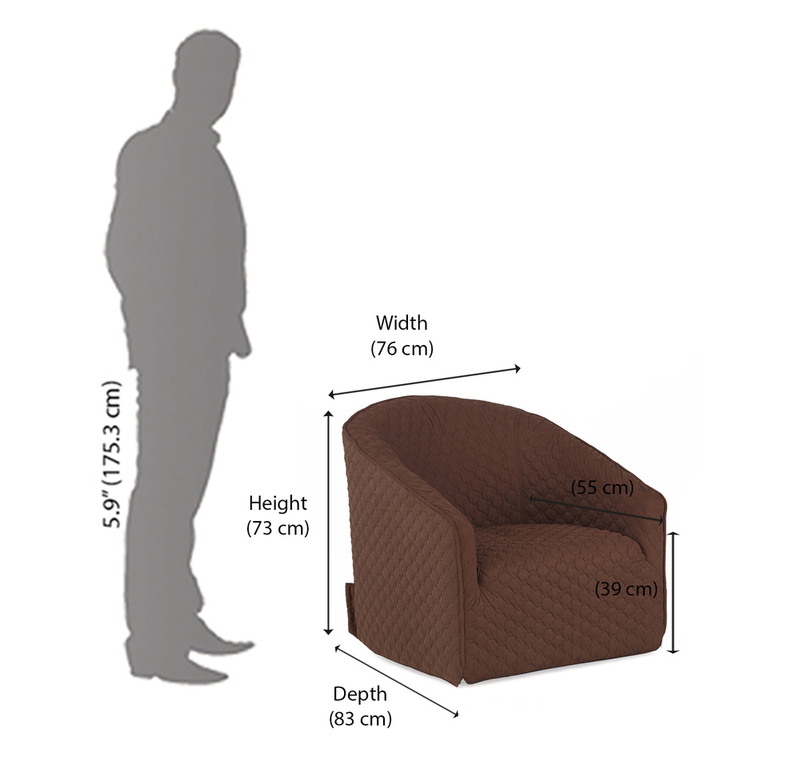 '@home by Nilkamal, brings to your doorstep, the amazingly comfortable Kaya Occasional Chair! Available is a stunning dark brown finish, this chair comes in a rich quilted fabric made of 100% polyester. And just so that you will completely at ease, this chair is lined with foam at the extended seat, back, arms and even the leg rest. This Nilkamal office chair is available at an unbelievable price, and comes with the promise of Nilkamal Quality, thus making it an ideal buy for your office and even furniture! So, why wait? Order this classic piece of furniture, right away! Quilted Fabric.Extended seating position for more comfort.